Sudarshan is using Smore newsletters to spread the word online. Don't let the wild ducks enter the Red List! SWild ducks are ducks that are not domesticated and live in the wild. Their habitat is ponds and lakes. They can walk, swim, and fly. It is sad that they are hunted for mainly meat and sport. We can kill animals for our needs, but not for sport. We should take this matter seriously and try our best to increase the wild duck population. Because, if we keep on killing wild ducks at this rate, wild ducks will slowly be extinct, never to be seen again. 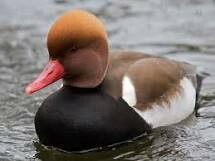 The red-crested pochard doesn't have a crest, it is a redhead! Its conservation status is Least Concern (LC). 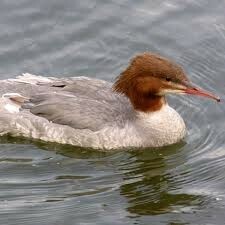 The male has a red bill, and of course, a red head! The female is mostly brown and white. Moscovy ducks' original name was Mosco duck or Mosquito Duck, because of its food, which is mosquitoes, bugs, and other pests. They are a great help to places where there are so many bugs and pests. Muscovy ducks were killed because of lies. Their poo makes a very good fertilizer. They are very quiet. Even if they hear a very loud noise, they won't bother. They make very good pets too.